Found another Traders Point trinket on EBAY that goes in the shoebox, er website. 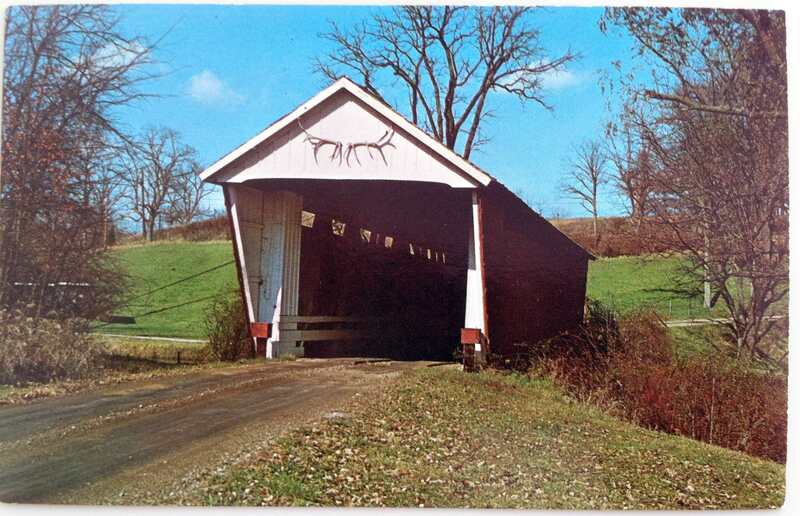 Photographer John Pontiere did an amazing job of traveling the midwest and snapping large format negative images of scenic significance; especially covered bridges. He died in 1990 at the age of 74 but I do not have the date the photo was taken. 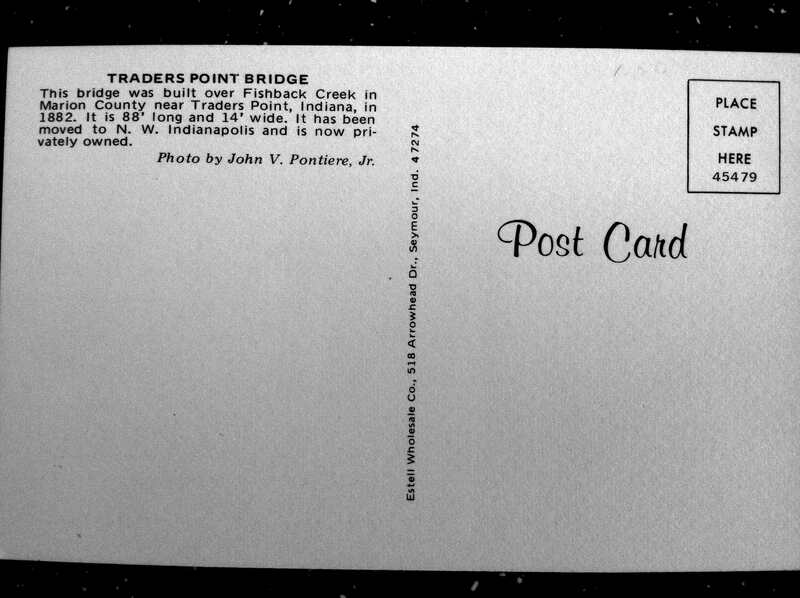 The bridge originally spanned Fishback Creek on 86th Street and was relocated several thousand feet west prior to the construction of Interstate 65 in 1963. This entry was posted in Traders Point in general. Bookmark the permalink.